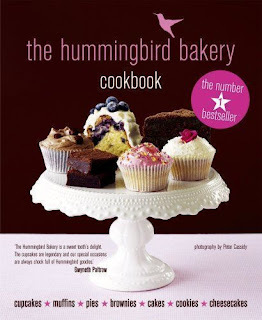 The hummingbird bakery has four locations across London. Tarek Malouf came up with the idea when he visited America and wondered why he'd never seen a bakery in London which excelled in treats like these. Sixty recipes! Cupcakes, muffins, pies, brownies, cakes, cookies, cheesecakes. My plan is to make every single one of the recipes in this cookbook. If you've ever seen the movie 'Julie & Julia' you'll know that's what inspired this project. In the movie, Julie Powell gave herself 365 days to complete 524 recipes from a cookbook written by her idol, Julia Child. She took on the challenge with great dedication and thats exactly what I plan to do. Its a way for me to learn so much and improve my skills, plus its fun and tasty...win win win. There is no downside! I'm not giving myself an exact deadline but I can commit to doing one or two recipes a week and seeing how it goes. My friend Rory and i started 'sweettooth' in 2008 during my undergraduate course and have made and sold thousands of cupcakes, cakes, cookies and so much more. So I've made some of these things before but a lot of them I have never even tasted so it should be lots of fun trying new ingredients and learning new methods, I hope they all come out the way they are meant to and taste good. I definitely can't eat everything I make all by myself or there will be trouble so anyone that happens to be in the right place at the right time will get some and constructive criticism is all i ask for in return. Pictures will also be uploaded and I'd appreciate your honest comments.